Are you tired of your run of the muck denim jeans? These Cinch 360 Flex Ian Denim Jeans are a breath of fresh air. These Cinch Ian's have a classic and subtle design that is paired with a new 360 degree flex material that stretches horizontally, vertically, and diagonally. You move and these jeans will too, no matter what direction you are going. 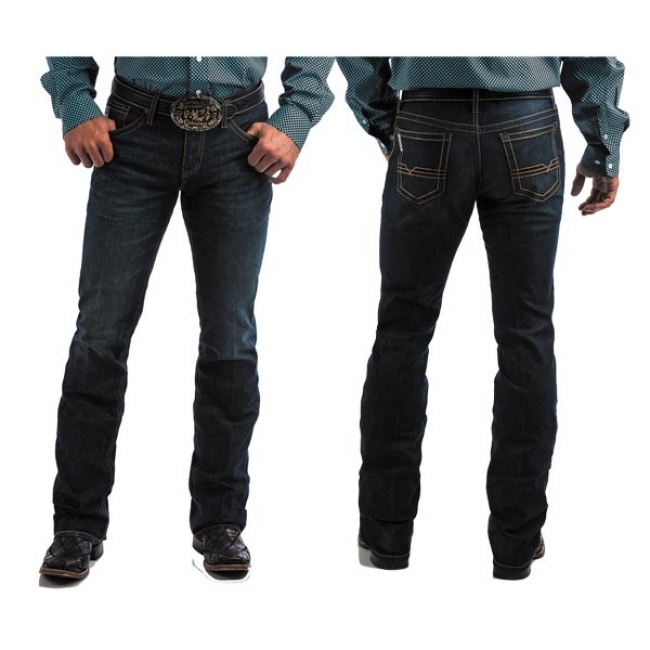 These jeans newest 360 Flex Denim gives a much more comfortable feel with an increase in range of motion without sacrificing the durability the Cinch brand is known for. The deep rinse coloring combined with a classic tobacco stitched back pockets give a crisp and clean look that is ready for social events, whether they are located in the barn or not.